SOLD 12/03/2010. $880,000. 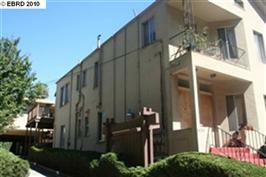 Excellent and Charming Income Property in coveted North Berkeley. Some hardwood floors, granite counters, built-ins, deck. Older 4-plex in front and newer duplex + garage in rear. Stairs and deck a few years old. Laundry Room. Storage. Very well maintained.